Looking for something to do on the NYC Ferry’s Lower East Side route? Travel via NYC Ferry the Prohibition Pub Crawl East Village lead by the Urban Village Tours. Take NYC Ferry’s Lower East Side (LES) route to Stuyvesant Cove to get to the Saint Marks Place, the tours origin. 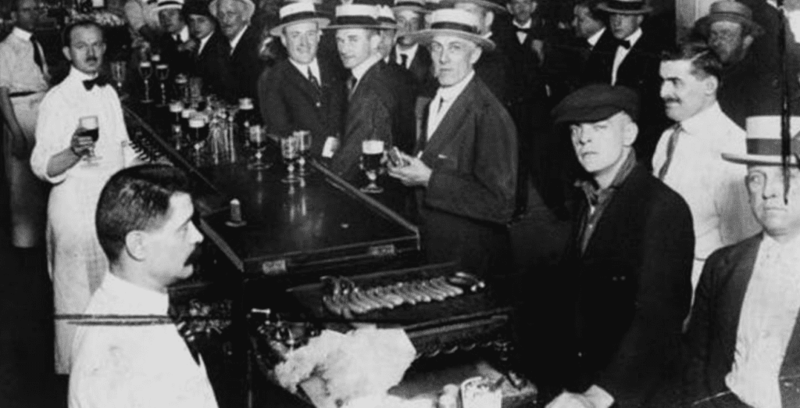 Discover the hidden, booze-filled underbelly of New York City with the Prohibition Pub Crawl East Village. On this three-hour walking tour, you’ll visit pubs that once served as speakeasies during Prohibition along with other hidden bars. Travel via NYC Ferry to the Prohibition Pub Crawl East Village. From 2:00 PM to 5:00 PM, your tour guide will help make the past come alive. The 18th Amendment to the U.S. Constitution later known as the Volstead Act catapulted the criminal world in New York. See where some of the famous gangster murders and kidnappings in the neighborhood took place. Step inside a real speakeasy from the days of Prohibition. See what a nineteenth-century saloon looked like. It hasn’t changed much since then. Also, learn about the female-led Temperance movement in their drive to rid American life of alcohol. Learn the role commerce played with the many immigrant beer barons and bootleggers who opposed the moral crusades of the day and became immeasurably wealthy because of it. And, of course, we’ll have a good time sipping vintage craft cocktails made by top bartenders. It will be the Bee’s Knees!